Last night I turned the heel of my sock. 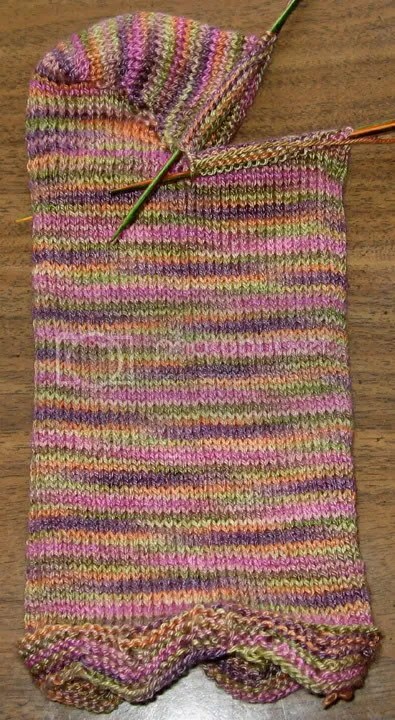 The first pair of socks I knit had a heel flap and some other crap I don’t remember. This time I looked at a couple patterns, and then I looked at my sock, and I kind of went for it. The whole thing works if you don’t look too closely. And don’t tell me that looks great. I can take flattering photos. The important thing is that it looks heelish, and also that I’m pretty sure I can fix the holes. If not, well . 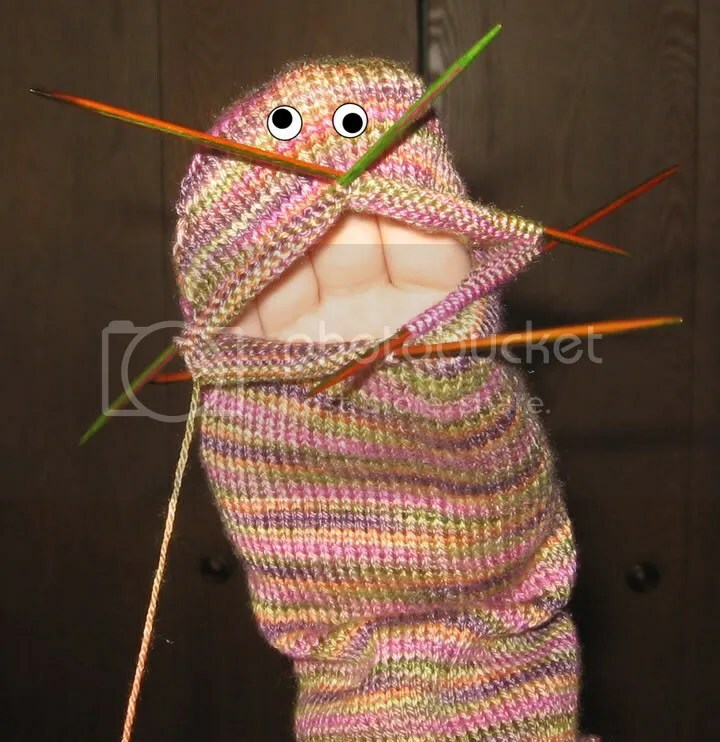 . .
Don’t think I wouldn’t do it, Monsieur Sock. Well it does look good. I want to make socks and was just thinking this morning about the heel section. And you knitted pirate skulls? I want to learn how to do those too. I am going to add you to my links hope that you don’t mind. p.s. about the skulls, I recognize that from the SNB book. I want to knit that one too. Oh my word! Socks with a puppet option – my girl is a genius!